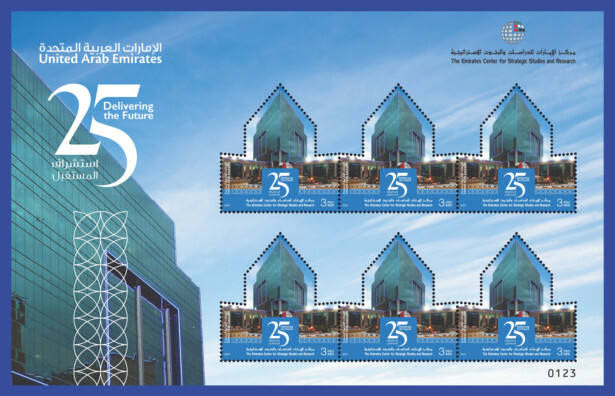 Dubai: The Emirates Post has issued a commemorative stamp to mark the silver jubilee of think tank group Emirates Centre for Strategic Studies and Research (ECSSR). The special-edition stamp celebrates the centre’s significant accomplishments over the last 25 years. The stamp is available at all Emirates Post Central Customer Happiness Centres across the UAE from Sunday. The first-day sheet costs Dh4 while the stamp itself is sold for Dh3.